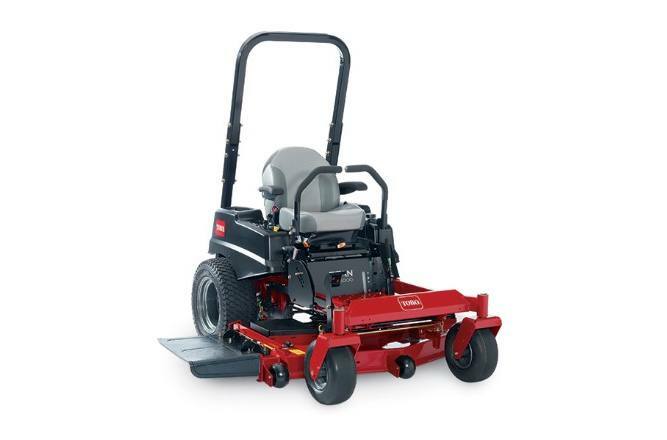 This 60" deck mower features a bull-nose bumper, a 24 hp Kawasaki® 726cc Engine, and a heavy-duty frame. Built to last, AND designed for user comfort, the MX6000 features a thickly padded, Deluxe Bolstered seat with floating adjustable suspension and padded armrests, dual oversized Comfort Grip™ levers with hydraulic dampers, and full 3-D isolation. In addition, Toro's cutting technology always gives your lawn a superior quality of cut. 4-Year/400 hour Limited Plus Lifetime Frame Warranty: We're so confident in the life of the TITAN MX, we stand behind it with one of the best warranties in the business. Toro backs up the materials and workmanship of the TITAN with a 4-year/400 hour limited warranty, and the frame is guaranteed for life. Easy Access to Belts: Belt covers can be removed without tools for easy cleaning of excess grass build-up.